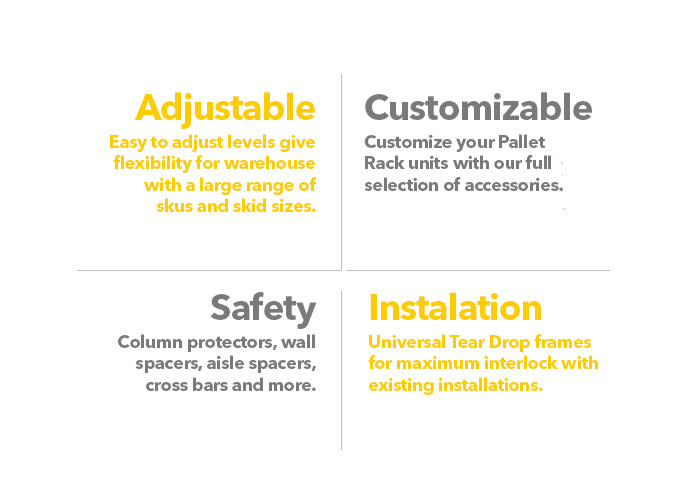 What is Drive in/ Drive Thru Rack System? 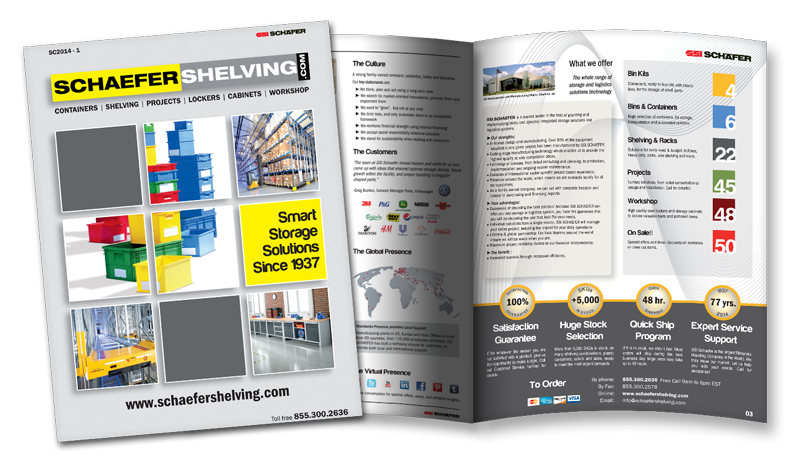 A Drive-in/Drive-Thru Pallet Racking is a storage solution where pallets or skids are placed in steel rails with the aid of forklift trucks, that guided by floor rails drive in the system to store and retrieve the pallets. 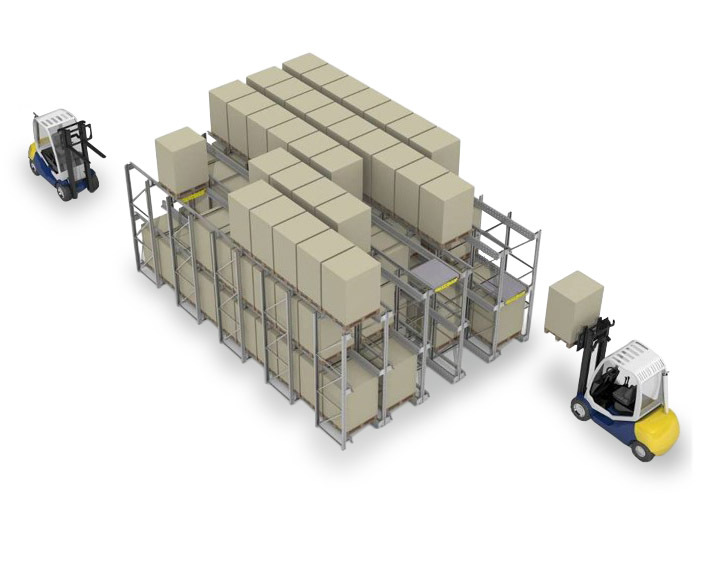 Drive-In racking operates on the system of First-In Last-Out (FILO), therefore it only suits products that is stored in sufficient volume to require multiples lanes to ensure stock rotation. A Drive-in System has only one access side. 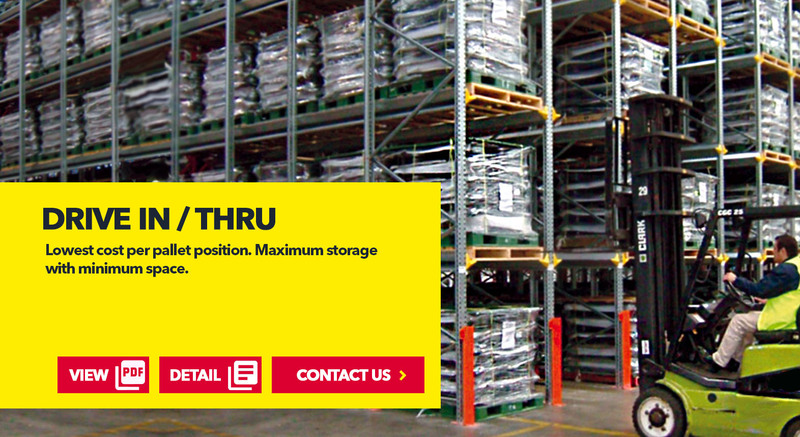 Drivers enter that side to store or retrieve the pallets. It operates on a FILO mode. 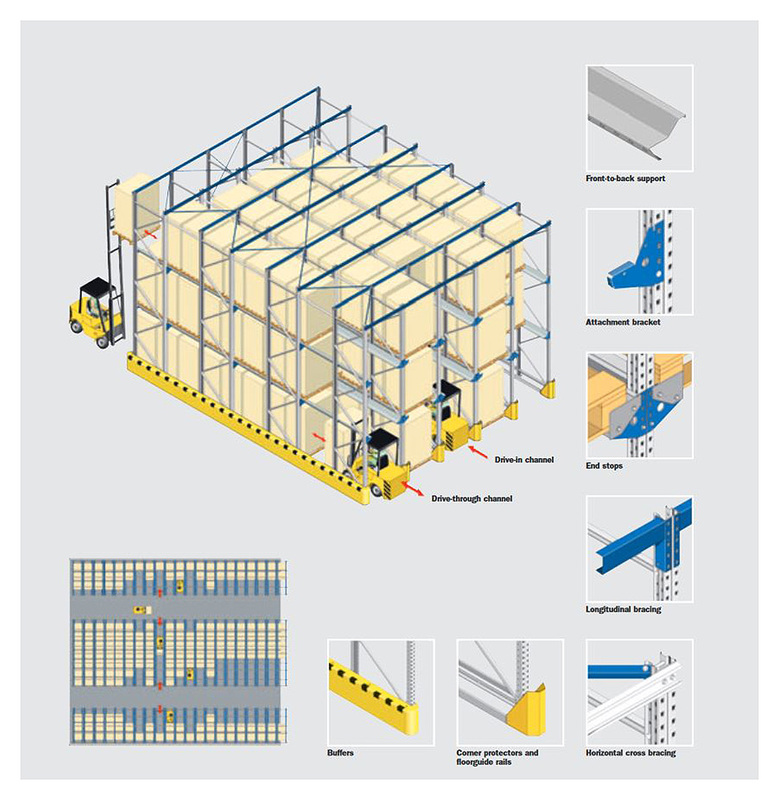 Most Suitable for batch production manufacturing, cold store applications and non-perishable products. A Drive-thru System has two access sides. 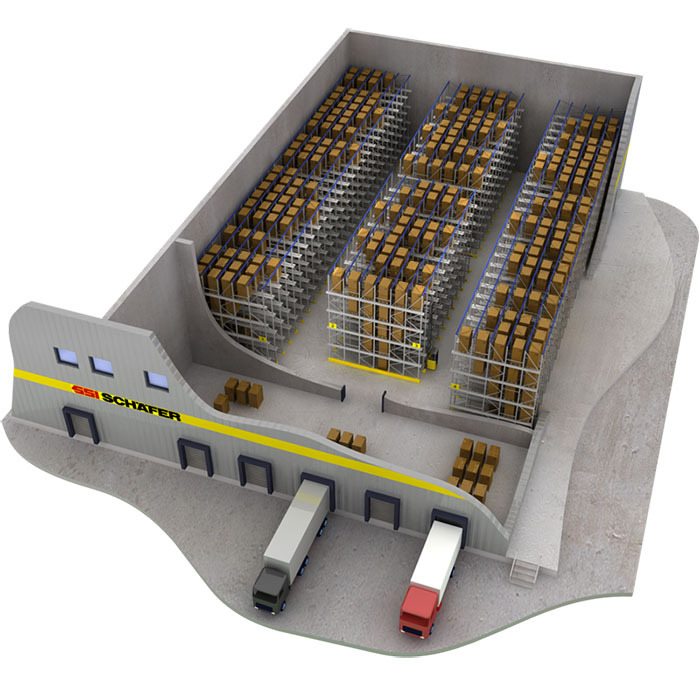 Drivers can enter either side to store or retrieve the pallets. It can operate both on a FILO or FIFO mode. Most Suitable for batch production manufacturing, cold store applications, non-perishable products and as a shipping buffer.